I’m an excuse queen. I think it’s actually a talent – coming up with as many excuses as possible for doing something I don’t want to do. Exercise is a prime example. I’ve been making excuses not to exercise for as long as I can remember but now I’ve decided enough is enough. Problem: Throughout my life I’ve had those random few months when I try and get into exercise (before failing miserably), and each time I buy a new pair of trainers which end up hurting the arches of my feet when I’ve been in the gym. Ok I wasn’t spending a fortune on trainers, which maybe I should have been but beggars can’t be choosers can they?! Solution: As most of you probably know, I’m an Avon rep and always make an effort to try out all of their products (hard life, I know!) so I jumped at the chance to purchase their toning trainers at an amazing price of £15.00. They were pink at the time but now Avon do peach colour ones in case you’re looking for them in the brochure! I swear to God, they are the most comfortable shoes I have ever worn in all my life. I’d wear them all day with every outfit if I could - Shame pink trainers don’t really go with a LBD. They are the best reason to work out because I don’t have the usual feet and ankle ache I’ve had in the past – and they’re toning trainers which is obviously a bonus! Contact your local Rep to put in an order! Problem: I always use this excuse, my family home has too many people, a dog and too much furniture to have space to exercise and run around in and my boyfriend lives in a small one bedroom flat in London so obviously there’s not much space there. Even though I use this excuse all the time, when I think about it, it’s a ridiculous reason not to work out! Solution: You only need a tiny space to work out, it you can fit your body in there and move your arms and legs, that’s enough so that’s that excuse out the window! Problem: We all know treadmills are expensive, but you don’t need fancy equipment for a good workout. You don’t need any equipment at all, but there are some cheaper alternatives to investing in a full on gym in your spare room! Solution: While this isn’t an excuse at all, you don’t need any equipment to exercise, I've picked up a few items recently that I can't wait to try out! Avon Rope-less weighted skipping rope - this is a perfect way to solve the no space issue too, the weights on the end of the rope ensure you still have the same workout as you would with a rope, but without the need for space. There's also a counter on the handle so you don't even need to keep track of how many you've done! Contact your local Avon rep for more info on this beauty! 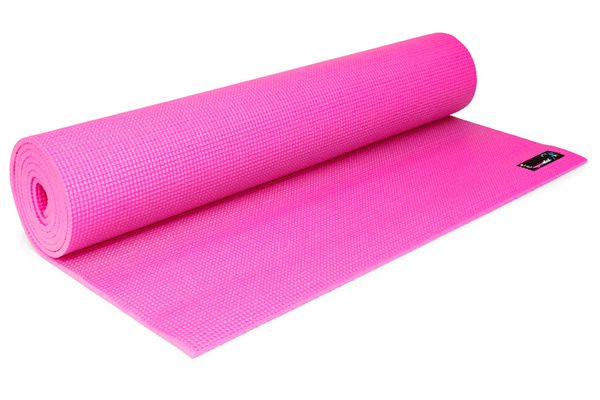 Amazon Yoga Mat - You can pick up so many bargins on Amazon, I really need to use it more! I got this Yoga mat for £8 and absolutely love it. It's perfect as we have wooden floors so there's no way to do any floor exercises without damaging your back. It's really lightweight, easy to roll up and store away, and surprisingly comfy. Obviously the colour is a bonus too! Avon Key Pocket for Running - I've recently purchased a key pocket for running, it hooks around the laces of you trainers with Velcro and is big enough to hold your keys - because nobody wants to run along holding them! I haven't actually tried it yet as it only came last week so I'll let you all know how I get on! Solution: With this amazing invention we call the internet, we have access to almost every piece of information we could possibly want. There’s websites, videos, podcasts, blogs, literally everything you can think of, all at the touch of a button. I personally love to use Youtube, but that’s for another post! I also buy fitness DVDs from Amazon, they’re so cheap, you can pick them up for a couple of pounds. After trying close to 20 different brands, I’ve finally found one a LOVE! The 10 minute solutions range is absolutely fabulous. It splits a work out into 5 manageable 10 minute sections focusing on a different area. The moves are easy, and you don’t need to be particularly coordinated like you do with the dance-y workout DVDs which is a bonus. They routines are repetitive which keeps me focused and the range of DVDs is massive, literally everything from yoga to kickboxing. I currently have 7 DVDs from the 10 minute solutions range and it just keeps growing! So now I'm out of excuses... looks like I'm off to join the gym! Oh I completely get this, I'm always coming up with a new excuse not to work out since I cancelled my gym membership a little while after my wedding 2 years ago, but after seeing a picture on instagram the other day of a perfect toned body it gave me the kick I needed to stop coming up with excuses and get back into being fit, I've now ordered new gym stuff and signed up at the gym today so no more excuses from me either!